Pictured are Tamaqua Area Junior High Wrestling team members posing for a quick photo after placing second during today’s first annual Mahanoy Wrestling Team Tournament. Five teams competed. Head coach is Dylan Rynkiewicz. Assistant coach is Dave Holmes. 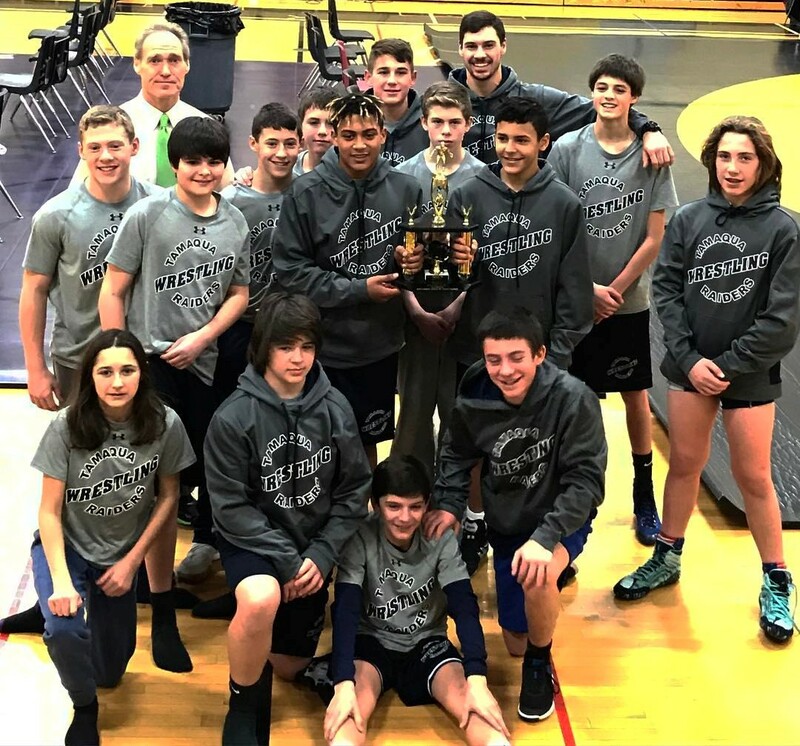 Junior high wrestlers are Carson Krell, Aaron Coccio, Randolph Steigerwalt, Nathan Wickersham, Nathaniel Curvey, Breanna Thomas, Cole Eberts, Braydan Hess, Logan Hess, Thomas Case, Michael Shlanta, Reese Szabo, Michael Steigerwalt and Sebastian Pagan.